The product to the left is Franklin Electric’s SubDrive Duplex Alternator. For those installations with two wells that are manifolded into one system, it’s a great little device that toggles operation between any two models of SubDrive and their respective pumps. And if one unit fails, the Alternator automatically switches to the good unit. Or, if one pump can’t keep up with demand, the Alternator will automatically turn on both pumps. 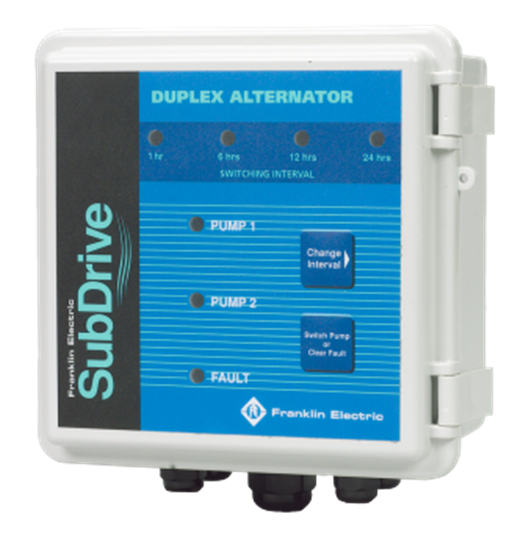 For over 4 years, the SubDrive Duplex Alternator has been available and we’ve shown it at trade shows, on our website, and during our seminars. However, to this day, many water systems contractors still don’t know about it. More often than not, we still hear, “Wow, that’s neat! I could use that. How long have you guys had that? It’s new, right?” It’s yet another example of how, regardless of industry, it takes far longer than expected to build awareness of a new product. However, what is a challenge for us and other manufacturers is a big opportunity for you. It means that by just paying attention to new products as they are rolled out, you can get a big jump on most of your competition. And once your competition figures out that you’re offering your customers a deeper product portfolio, you will already be highly experienced in selling and installing them. More good news: the paying attention part isn’t hard. Franklin Electric and other manufacturers make it easy. Trade shows are full of new products, websites have extensive new product information, and our knowledgeable field people love to talk about new products. Franklin Electric’s Convertible VersaJet, Inline 1100, 600M Fountain Duty Motor, and STS Turbine are some recent products that you probably need in your portfolio. But, you can’t sell them if you don’t know about them. Just a small investment of your time and attention can really pay off by setting you apart from your competition–especially the competition that isn’t paying attention. This entry was posted in Business Tip and tagged 600M Fountain, Convertible VersaJet, Inline 1100, New products, STS Turbine, SubDrive by markreeder. Bookmark the permalink.